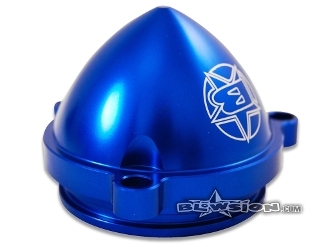 Designed with the freestyler in mind, the freestyle pump cone allows the engine to rev faster for the big tricks. Its small size lets a large volume of water move through the pump with less restriction than with the stock tailcone. This gives you more low end thrust for bigger air. Works great with a bored out stock nozzle to help provide even more low end. Detailed instructions and all mounting hardware included. Fits all years Yamaha Superjet.